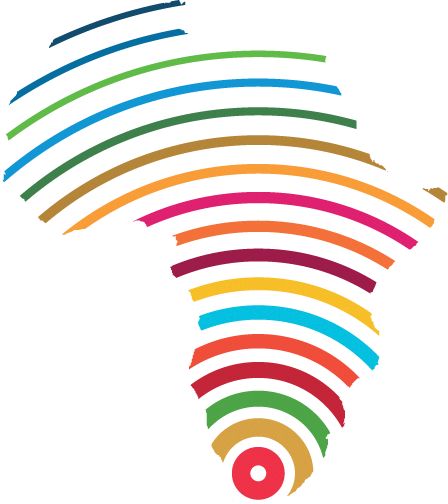 We invite researchers, innovators and change-makers to propose SDG Labs Africa for the Seedbeds conference. SDG Labs are intended to bring together participants from a range of research disciplines and sectors of society to develop solutions to complex problems that help to make progress towards implementation of the UN Sustainable Development Goals (SDGs). The SDG Labs concept aims to initiate processes towards sustainability transformations through developing prototype solutions. We want to encourage innovative approaches that help to shift systems towards more sustainable trajectories. These are multi-stakeholder processes and the changes they seek to catalyze may be in institutions, systems or sectors of society, for example in food systems and food security, risk governance, inequality and poverty, or ecosystem health. The innovations may be social, ecological, technological, in business models or policy, or a combination of several of these. The aspiration of the SDG labs is that they plant seeds of change that can grow and spread, inspire and provide knowledge for transformation on a greater scale. In practice, a lab is a short series of solutions-focused workshops aimed at delivering a specific innovation. This is how a Lab works: You put together a team of people with different backgrounds, and ideas for how to find solutions to a very specific sustainability challenge. The “idea” in this case could be, for instance, a certain process, activity, bringing together of specific stakeholder groups, a technical solution, design activity, etc. The solutions should be evidence-based, have legitimacy within the stakeholder groups you are engaging, and include some element(s) of innovation, include local or indigenous knowledge as relevant, and provide culturally appropriate meeting formats. You design a process to explore the idea on the relevant scale and you try it out. That is the lab. SDG Labs are based on the social innovation lab concept, developed by Frances Wesley and team at the University of Waterloo for the Rockefeller Foundation, and based on earlier lab concepts. Social Innovation Labs have been used around the world to catalyze change. Future Earth has further evolved the concept with the Stockholm Resilience Centre and together we funded 21 SDG Labs as part of the 2017 International Conference on Sustainability Science. You can learn more about these labs on the conference website. The Seedbeds conference has a specific focus on Africa. The Labs can take place anywhere in Africa, or anywhere in the world if a majority of the participants are from Africa and the focus is highly relevant for sustainability in Africa. We will allocate up to 7,000 EUR to each SDG Lab, which will consist of 5,000 to 6,000 EUR for lab activities, and 1,000 to 2,000 EUR for travel support to attend the conference, present your results and receive feedback. Sustainable oceans and coasts. Addressing any of the targets of SDG 14 on Oceans. Urban sustainability. Addressing any of the targets of SDG 11 on Cities, or related goals, such as energy access, biodiversity, and climate adaptation in urban areas. Digital technology for transformation. Addressing rapid spread and improvement of technology as catalysts or drivers of social and environmental change eg: artificial intelligence, machine learning, data visualisation, ICT, mobile apps. Addressing one or more of these focus areas will increase the chance that your Lab proposal will be funded. It is also recommended that your lab proposal demonstrates how it will address one or more of the overall conference themes. Initiate: Start pre-conference activities through research and preparation. Activities in this phase would be expected to involve outreach to understand the Lab’s specific conditions and opportunities, such as gathering stories, sketching or having preparatory meetings. This phase should be more than just a literature review. Feedback: At the Seedbeds conference, present what you have done and receive feedback on your plan to complete the lab from conference participants. Convene: Develop one or more workshops , to be completed within 4 months after the Seedbeds conference. This is the phase where most of the practical work of the Lab takes place. Show. Share lab results and lab media (photos, videos etc) on a dedicated website convened by Future Earth to amplify the lab’s impact and support its spread. Funding will be provided up-front for the lab, and financial reporting of expenditures will be required at the completion of the lab. What sustainability issue(s) are you addressing? What focus areas of areas above and SDG goals/targets are you addressing? What is your idea for solutions? How will you operationalize the four phases? How do you anticipate the work could continue after the Lab? Draft budget for the lab and need for travel funding to the conference. Each Lab can apply for up to 7,000 EUR in total of which up to 2,000 EUR can be used for Seedbeds conference travel support. A clear and original idea on how to tangibly address a sustainability issue; and that both the issue and the potential solution have strong local relevance. A clear plan for how to operationalize your idea in a Lab form. The Lab connects well with one or more focus areas of this call. The team has diverse knowledge and skills relevant to the Lab. The Lab engages diverse groups, comprised of some combination of the following: researchers, innovators, policymakers, and other key local actors. The Lab examines elements of both environmental and social sustainability. The lab focuses on African concerns, particularly in Least Developed and Low Income Countries (OECD DAC list).